Martin Yale P7400 RapidFold desktop automatic paper folding machine performs 4 different standard fold types: half fold, letter, double parallel, and z-fold. Ideal for smaller mailrooms, offices, churches, and associations. Martin Yale P7400 RapidFold paper folding machine features a small body that allows it to store easily. Automatic shut-off conserves energy by turning the machine off when not folding. Automatic jam detection helps solve paper jam issues. Fold table rulers with color coded icons help expedite folding operations when switching between fold types. Convenient exit tray collects folded papers into an orderly stack. The P7400 paper folding machine has a feed capacity of up to 50 sheets of 28 lb. bond paper. 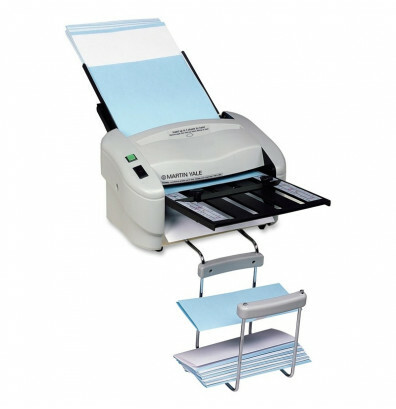 Delivers professional looking folds whether a single sheet or 3 sheets of paper are fed. Capable of folding stapled documents and digital print stock for added versatility. Adjustable guides for three standard paper sizes: 8-1/2" x 11" (letter), 8-1/2" x 14" (legal), and 8-3/10" x 11-7/10" (A4). Optional roller cleaner helps keep paper rollers well maintained for long-lasting use. 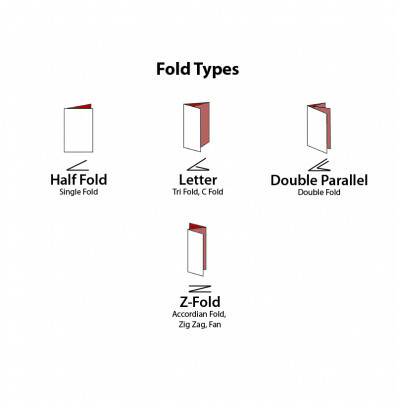 4 available standard fold types: half fold, letter, double parallel, and z-fold. Adjustable guides handle letter, legal, and A4 sizes. 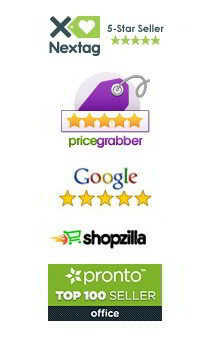 Accepts stapled documents and digital print stock for added utility. Automatic jam detection helps solve jamming issues. Fold table rulers feature fold type icons for easier setup. Exit tray keeps folded papers organized. Compact body for easy storage. Very happy with P7400 very fast folding. Had a P6200 for years. The machine (paper folder) works well almost all of the time. At times it allows an unfolded sheet to go through when I am folding half sheets. It also stops folding at times and I have to give the stack of paper a tap at the back end to get it going again. I do like the compact nature of the machine. It is easy to move from one surface to another. We are a mid-sized office and this machine is doing a fine job so far. It's not nearly as noisy as the old machine we had. Pretty easy to put together and easy to run. So far so good! Great product! Our office clerk is so pleased. No problem putting it together. Much faster than expected. No problems with paper jams. We are very happy! We use it for the 3 fold to send out statements. Works pretty well and fast. conly complaint is the the papers fall off the side where they are supposed to stake up. Otherwise it works great. love it and it saves so much time. Seems well-built, works as advertised. This is the first paper folder I've purchased, and I'm very happy with this machine. It's easy to use, does a fine job with multiple folds and fairly simple adjustments. It's fairly loud, but that's a small price to pay for the time saved and convenience. Received this machine very quickly also after the order, very well packed. The first folding machine we recieved didn't work properly, steve from tech support for Martin Yale said something was wrong with the folding table. Digital Buyer was quick to issue a shipping label so we could ship the machine back and get a replacement within a week. Our bulletins are an odd size and was wondering if this machine is adjustable. Our paper is approx. 7 11/16 x 13 5/8. We do a tri-fold. Yes, it can be set up to handle that. Is there an attachment that will seal mailing not in envelopes? Our church bulletin is a legal size piece of paper with a 3 inch tear-off. Once the 3 inch tear-off is folded the remaining portion is then folded in half. Will the adjustments on your machine allow for 'uneven' folding of the document to accommodate the 3 inch tear-off? That should not be a problem; simply hand-feed them one at a time through the bypass.